This year I'm not hosting a big Halloween party. Although I would LOVE too, I'm trying something new this year. Mini Halloween parties! With mini parties I can send more unique invitations. I went to Michaels and Joann's and picked up my supplies. Cob web paper, spider ribbon, plain brown jewelry box, spider stickers and glittery spiders. 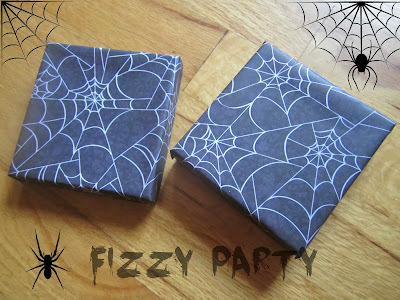 I attached double stick tape to the outside of the jewelry box and wrapped it in cob web paper. On the inside I placed cob webs that I already owned on the bottom half of the box and placed the glittery spider on top. 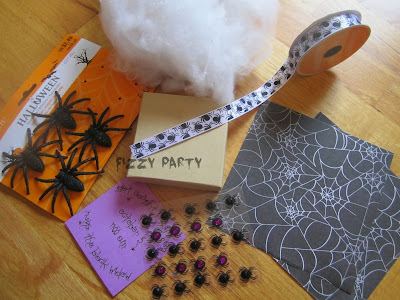 I was going to buy spiders and glitter them up myself but it was cheaper to buy them pre-glittered. 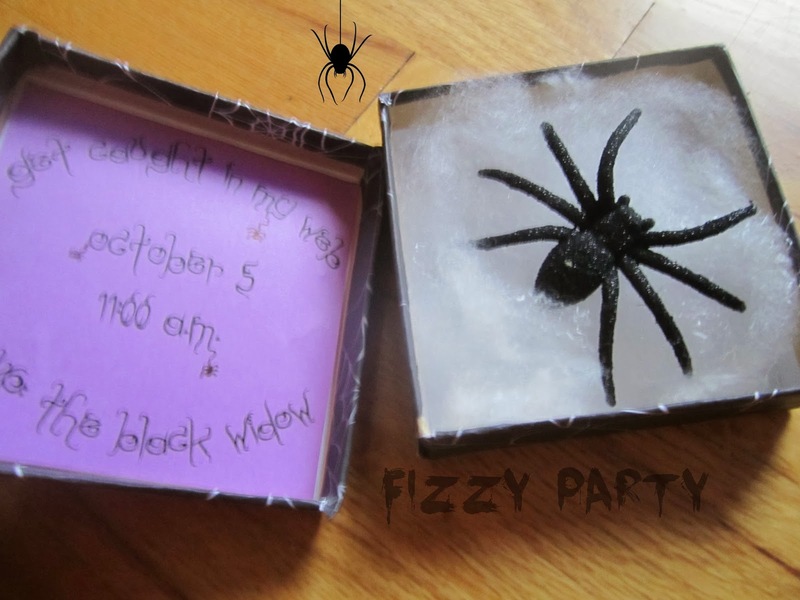 On the top half of the box I put the party information. My friends have been to my house a lot so no need for an address. This is what happens when you're the party diva of your friends, they all know how to get to your house really well. 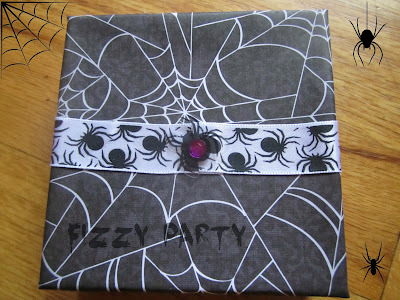 Once the inside of the invitation was complete I attached the spider ribbon using double stick tape and finished it off with a spider sticker. I hand delivered 2 of them and the other 2 I mailed. I just popped them into a manila mailer and they arrived just fine. They didn't even get squished. My friends LOVED the invitations! and it gives them a hint as to what the theme of the party will be. Thank you! That means a lot since spiders terrify you. And thank you SO much for the Twitter love. It would be so fun to get something like this in the mail! I hope you get 100% turn out. Thank you . I thought this would be more fun than just a paper invite. All but one can make it. And she has a good reason not too. With 3 kids and her man off at a National Guard Duty weekend, she had to decline. Having smaller parties is such a good idea. Our Halloween party is huge and it is quite exhausting. You are very wise to keep things small. 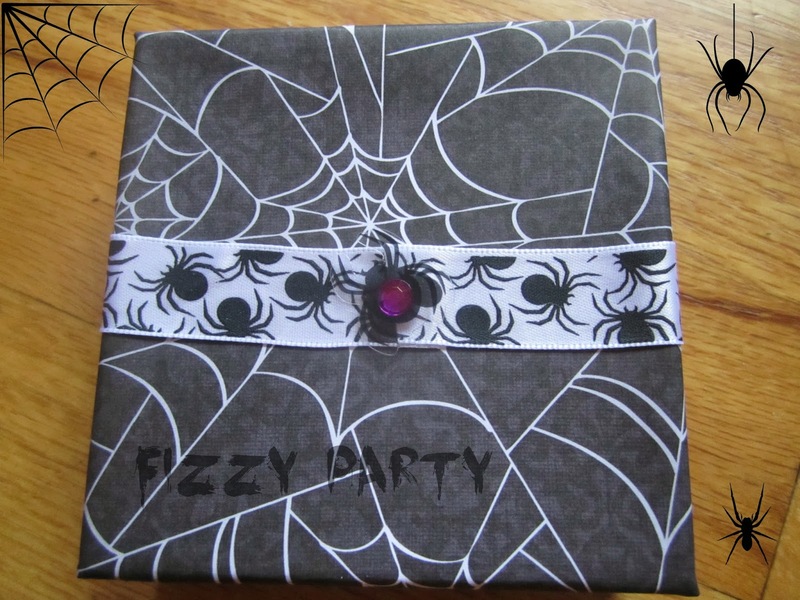 I love the spider invitation. Beth, I would LOVE to do a huge party and have in the past. This year I'm keeping it small. I have a few friends who I rarely get to see anymore and a big party doesn't lend itself to a good visit. Thank you! I had fun making them. Can't wait to see your party.